Enhance your visit to Charleston and your learning experience with these exciting pre-conference options. Pre-conference workshops are being held Thursday, January 24, 2019. This workshop will go deep into the distillation of lavender essential oil and lavender hydrosol, and will include a hands-on distillation demonstration. We will discuss essential oils, hydrosols, types of stills, distillation processes, and give you time to ask questions. Whether you are an experienced distiller or new to distillation, this workshop is for you! Curious about copper versus stainless? How do I pack my still? Distilling fresh versus dried lavender? How long should I run my distillation? How hot should I run my still? How should I store my oil and hydrosol? How long will it keep? What yield can I expect? This full day workshop will give you time to immerse yourself in each of these topics and experience more in-depth learning! Lunch is included. 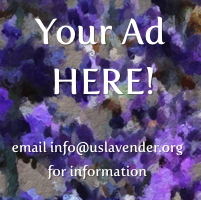 Do you want to start a lavender farm, get more information on starting a farm, or have endless questions about how to turn your lavender crop into a business? This pre-conference workshop is for you! We will go in-depth in this all-day workshop and work through the step-by-step process to get your farm started, different business plans, measuring for success, and return on investment. Plan to bring your thinking cap and be ready to take notes! Historic and Agri-tourism Excursion - LIMITED SEATS STILL AVAILABLE - REGISTER SOON! Enjoy a day visiting agri-tourism venues to gain insight for your own ventures! Our bus tour will be fantastic for learning about the history of Charleston and many important aspects of agri-tourism that can help you grow your business. We will visit Magnolia Plantations and Gardens, and Middleton Place. Transportation, tours, and lunch are included. Considered the most visited plantation in Charleston, Magnolia has been selected as one of “America’s Most Beautiful Gardens” (Travel + Leisure Magazine), and is the only garden honored with this distinction in the state of South Carolina! Founded in 1676 by the Drayton family, Magnolia Plantation has survived the centuries and witnessed the history of our nation unfold before it from the American Revolution through and Civil War and beyond. It is the oldest public tourist site in the Lowcountry, and the oldest public gardens in America. It opened its doors to visitors in 1870 to view the thousands of beautiful flowers and plants in its famous gardens. Interesting note, in order to save the plantation after the Civil War, the owner felt that agri-tourism was the answer and the motivation to open the gardens to the public. The gardens feature an extensive collection of camellias (they bloom in January!). Our tour includes the Orientation Theater which offers a 25-minute film telling the history of Magnolia and the Historic Gardens (led by onsite horticulturalist), the Zoo and Nature Center, Conservatory, Horticultural Maze, and the Wildlife Observation Tower. The Plantation House is home to a lovely gift shop, and drinks and snacks may be purchased at the Peacock Café. We will also take a Nature Tram Tour, a narrated 45-minute tram tour of the plantation, beyond the gardens and lawns, giving insight into the evolution of Magnolia since 1676. The ride through the wildlife refuge gives exposure to possible sightings of alligators, turtles, herons, egrets, and other native animals. A National Historic Landmark, home to the oldest landscaped gardens in America and an enduring, vibrant, and essential part of the Charleston and American experience, Middleton Place is owned and operated by the Middleton Place Foundation. The foundation, a 501(c)(3) educational trust established in 1974, uses historic preservation, documented research, and interpretation as a force for education, understanding, and positive change. Most of Middleton Place was burned just months before the end of the Civil War. Twenty-one years later, in 1886, the Great Earthquake struck, destroying the walls of the main family residence and the north flanker building. From the end of the war until the early 20th century, much of the property lay neglected and overgrown. In 1916, J.J. Pringle Smith, a descendant of Henry Middleton, inherited the plantation but it was only after the death of his father, Henry Augustus Middleton Smith, in 1924 that funds were available to begin the restoration. Our tour begins with a Lowcountry lunch buffet, which features produce from the on-site organic farm. We will then enjoy a guided garden tour led by a Master Gardener and a self-guided tour of the working stable yards, where you will get a glimpse of 18th & 19th century working plantation life and watch skilled artisans make tools, pottery, and clothing and enjoy the array of livestock on display. Be sure to explore the museum shop as well as the garden market and nursery, which features items handmade by the local resident artisans. Register for the conference and pre-conference activities HERE. PLEASE NOTE THAT GENERAL REGISTRATION FOR THE CONFERENCE ENDS ON 12/15/18. If you have already registered for the conference and want to sign up for a pre-conference activity, click HERE.